What Might This Be About? 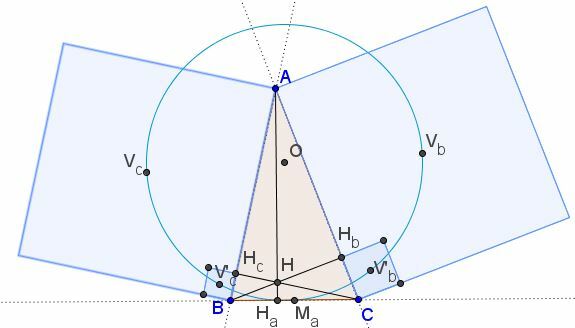 Six points $V_b,V'_b,M_a,H_a,V_c,V'_c$ lie on a circle. 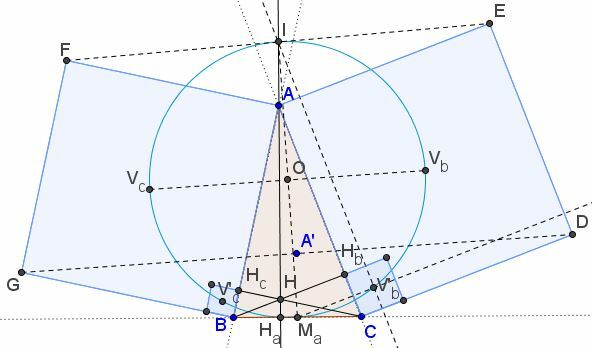 $V_bV_c$ is a diameter of this circle. Note that this statement nicely complements van Aubel's theorem. The statement has been posted by Dao Thanh Oai (Vietnam) at the CutTheKnotMath facebook page. There are three addional solutions posted at the artofproblemsolving.org site.